AS-Interface - direct IDC connection - V2.1 - extended A/B - 4 I - IP67. AS-i version: V21. Addressing: Extended AB. Number of inputs: 4. AS-Interface - direct IDC connection - V2.1 - extended A/B - 3 O - IP67. AS-i version: V21. Addressing: Extended AB. Number of outputs: 3. AS-Interface - direct IDC connection - V1 - standard - 4 O - IP67. AS-i version: V1. Addressing: Standard. Number of outputs: 4. AS-Interface - direct IDC connection - V2.1 - standard - 4 O - IP67. AS-i version: V21. Addressing: Standard. Number of outputs: 4. AS-Interface - direct IDC connection - V1 - standard - 2 O - IP67. AS-i version: V1. Addressing: Standard. Number of inputs: 2. Number of outputs: 2. AS-Interface - direct IDC connection - V2.1 - standard - 2 I - 2 O - IP67. AS-i version: V21. Addressing: Standard. Number of inputs: 2. Number of outputs: 2. AS-Interface - direct IDC connection - V2.1 - extended A/B - 2 O - IP67. AS-i version: V21. Addressing: Extended AB. Number of inputs: 2. Number of outputs: 2. AS-Interface - direct IDC connection - V1 - standard - 2 I - IP67. AS-i version: V1. Addressing: Standard. Number of inputs: 4. 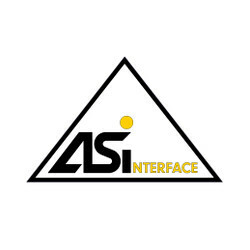 AS-Interface - direct IDC connection - V2.1 - standard - 4 I - IP67. AS-i version: V21. Addressing: Standard. Number of inputs: 4. AS-Interface - direct IDC connection - V2.1 - extended A/B - 4 I - 3 O - IP67. AS-i version: V21. Addressing: Extended AB. Number of inputs: 4. Number of outputs: 3.